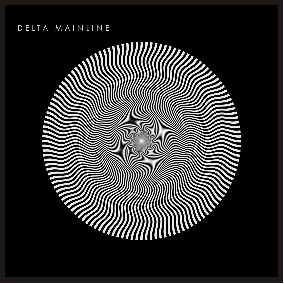 Delta Mainline do have a bit of an eclectic streak running through their psychedelic rock anthems. The seven-piece (yep, seven) seem to draw influence from sources as broad as Mississippi Blues and Britpop, and this is certainly celebrated on their wordily-titled EP ‘In a World Full of Madness, the Simple Joy of Melody Can Pull You Through’. Here Comes The Light has a warm evening country glow despite its somewhat cold The Coral-esque lyrics and melody. As the sun sets, the song moves into slightly creepy discordant trumpet fights and blustering theremines. Hope/Grace is a gentle boat ride down a river made of reverby guitars, ride cymbals and synthesiser, with just a hint of punk screaming escaping near the end. Sheltered Life is built like a straightforward The Eagles-style country rock guitar ballad, building up as the song goes on with guitar slides and choir backing vocals. Holy Slow Train is a much darker sonic affair. The band play with tempos a bit in this tune, leading you clattering down distorted and echoey sonic corridors, taking you to a place where all the Lou Reed lovers like to explore, the world of noise, and at 7:14 it takes its sweet time. There’s also a background noise in there that sounds like the transporter from Star Trek: The Original Series. Between their room-filling sound and the steady rock undertone behind their experimental brush strokes, Delta Mainline have written an E.P of songs that sound good in your record player, but could also entertain live. Surely that’s a goal achieved.